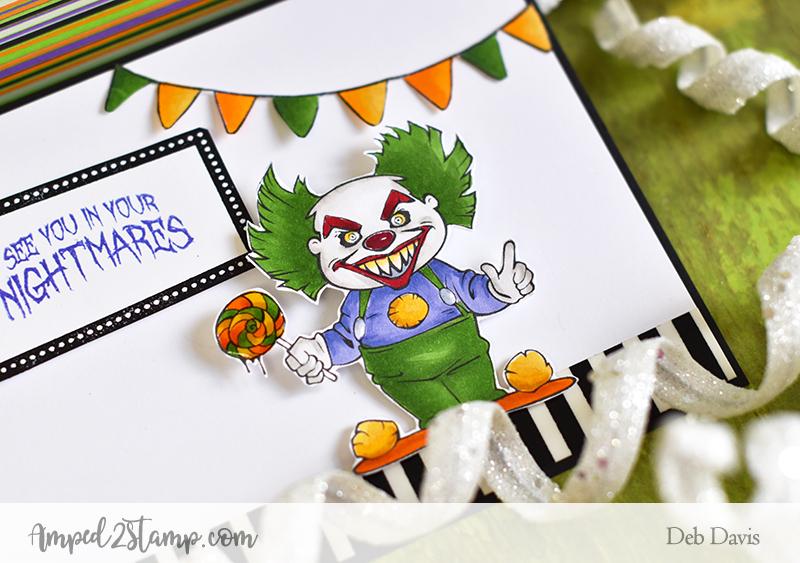 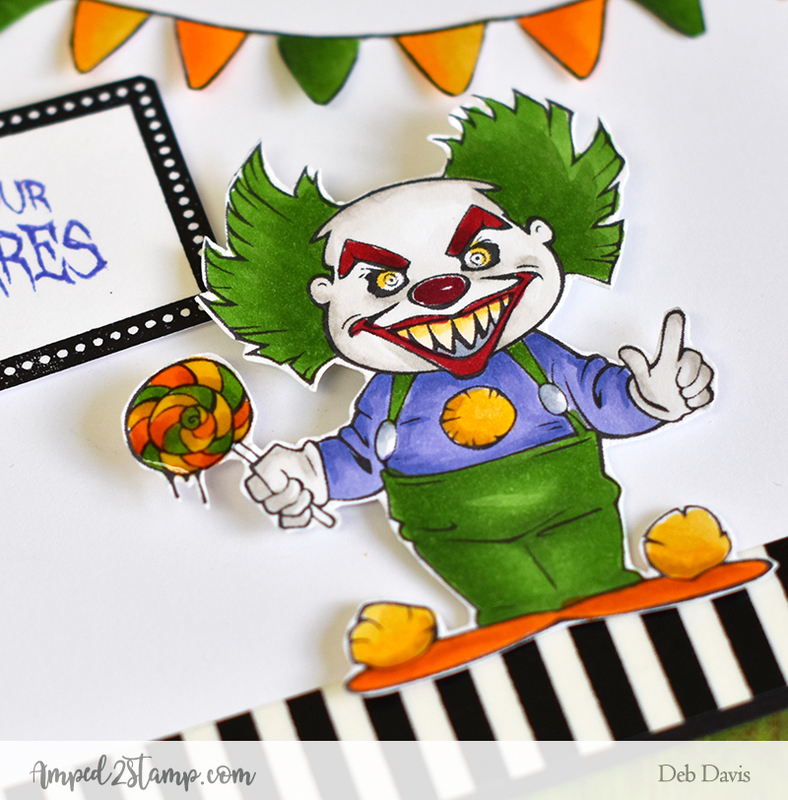 Isn't this Creepy Clowns stamp set just oh so good and creepy?! This set isn't just for the creepy clown lover but also for torturing that friend or family member who hates them - Mwaaaaahaahahaa!! 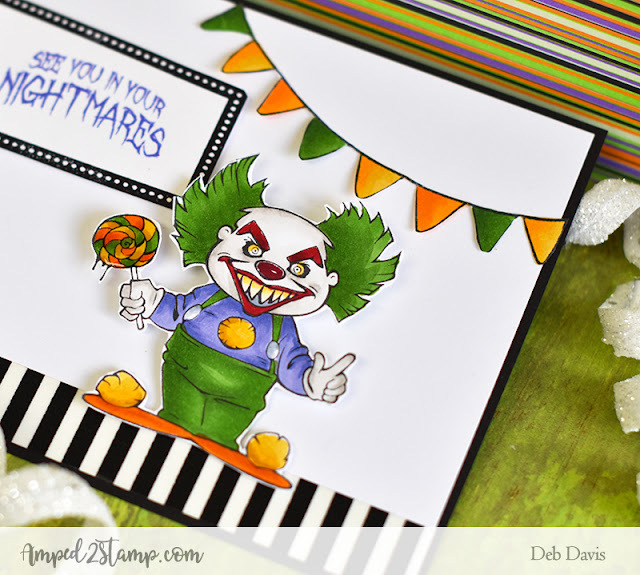 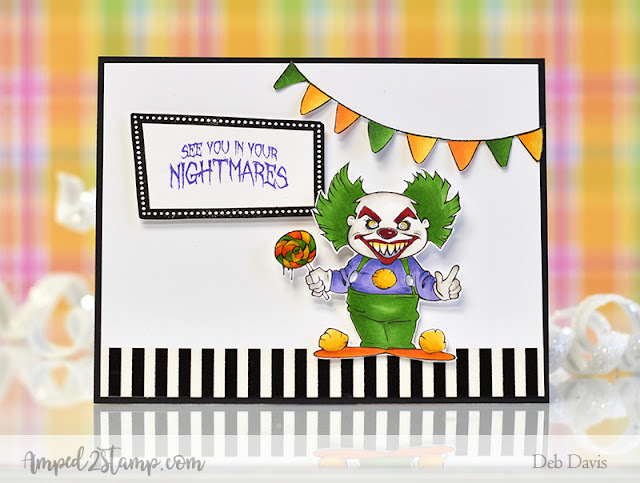 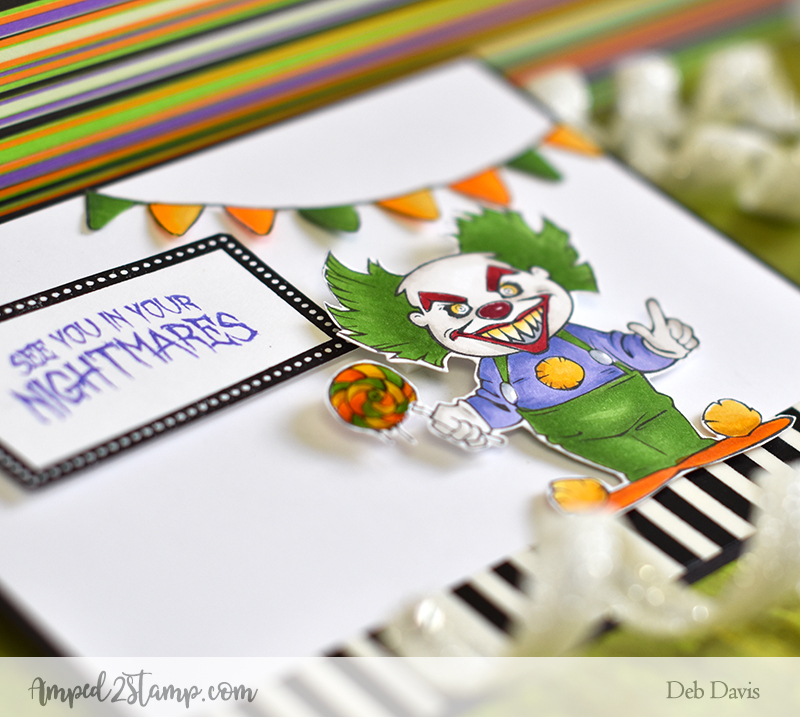 Lastly I stamped the marquee with the sentiment I wanted (all of the sentiments in the Creepy Clown set fit inside of the marquee ;o) and fussy cut it out. Then I adhered it to the card on a single layer of foam tape so the clown would pop out more than the marquee. 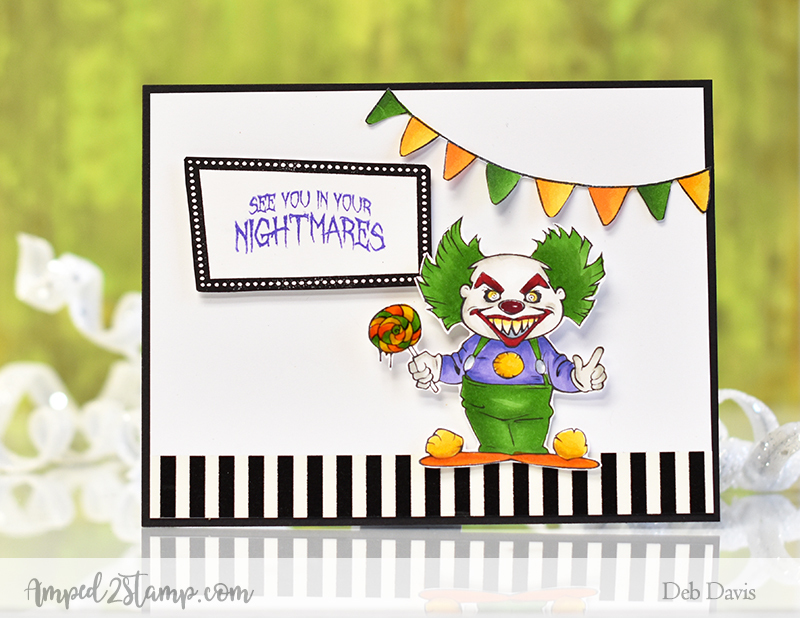 Then I just added it to a black card base and he was finished. 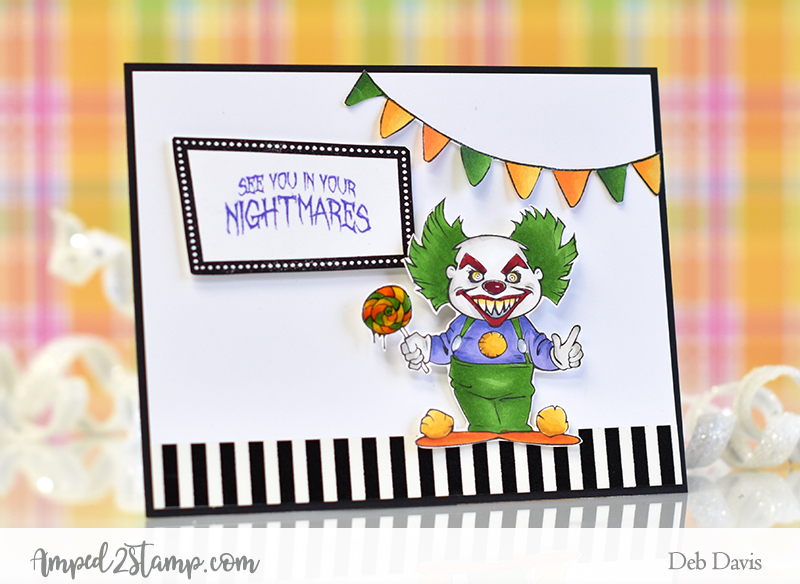 See you in your nightmares...Mwaaaahaaaahaaaaaha! 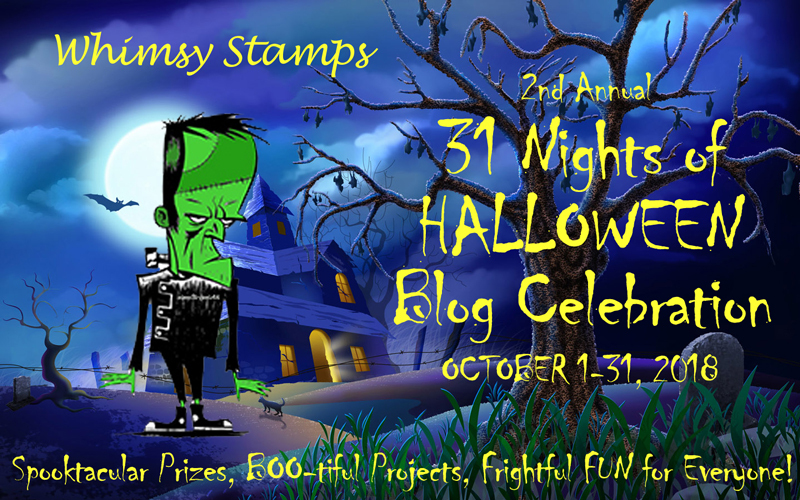 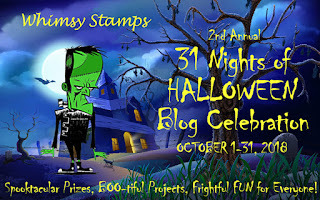 2nd Annual 31 Nights of Halloween Blog Celebration!